March 30, at 8 a.m. It is the eighth year members of the Gloucester Fire Department have come together to take part in the Boston Fight for Air Climb. This March, nine current members of the department and one retired member will join hundreds of local firefighters as they climb a looming Boston skyscraper with 41 floors and 789 stairs. 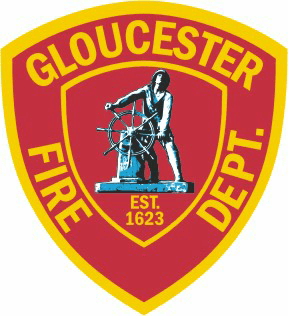 The Gloucester Fire Department Team has a goal to raise $2,000 for the ALA this year. The Gloucester Fire Department Fight for Air Team includes Lt. Chad Mota, Firefighter Jak Letien, Firefighter Nick Aiello, Firefighter Charlie Scola, Retired Assistant Chief Tom Aiello, Captain Jim Burke, Firefighter Tom Aldrich, EMS Coordinator Jon Sanger, Firefighter Jon Dyer, and Firefighter Jim Hannon. “The fundraiser is near and dear to us because so many firefighters suffer from lung cancer, and lung disease from occupational exposure,” Lt. Chad Mota said. Mota said in addition to the team’s goal of raising $2,000 for the climb, they also hope to be one of the top three firefighter teams with a combined climbing time. According to Mota, the group has been training for months in advance of the coming climb. According to the American Lung Association’s website, in 2018, there were 44 Fight for Air Climbs held across the United States, raising more than $7.4 million. To donate to the Fight for Air Climb on behalf of the Gloucester Fire Department’s team, visit action.lung.org/site/TR/Climb/ALANE_Northeast?team_id=146412&pg=team&fr_id=17825. Fight for Air Climb is a signature ALA event hosted in the nation’s most prominent skyscrapers. As part of the event, Gloucester firefighters will climb a total of 789 stairs to raise money for the ALA. The building, which is 601 feet tall, has 41 floors, and each floor has two flights of stairs. This is the sixth year that Gloucester Fire has participated in the ALA Air Climb. The department hopes to surpass last year’s $2,000 donation. To donate on behalf of the Gloucester Fire Department, visit their team team page on the ALA Air Climb website.